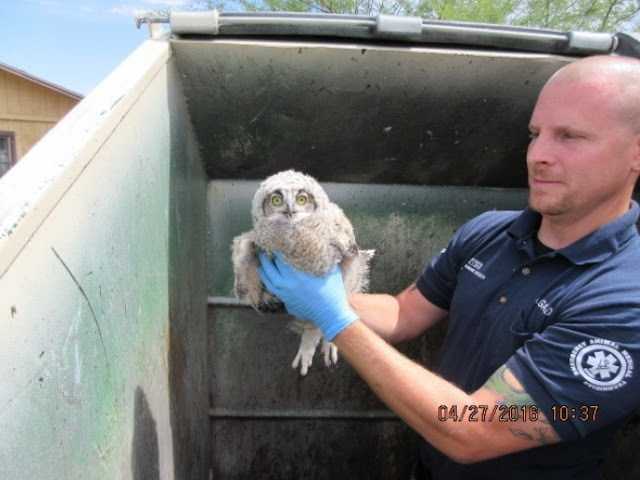 A Good Samaritan alerted the Phoenix Police Department of two owls in need of rescue in a dumpster near 19th Avenue and Camelback Road in Phoenix. 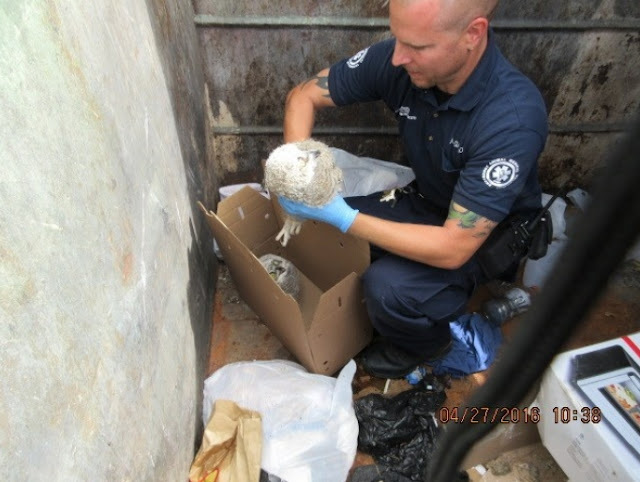 Law enforcement then called the Arizona Humane Society’s Emergency Animal Medical Technicians™ (EAMTs™) to rescue them. 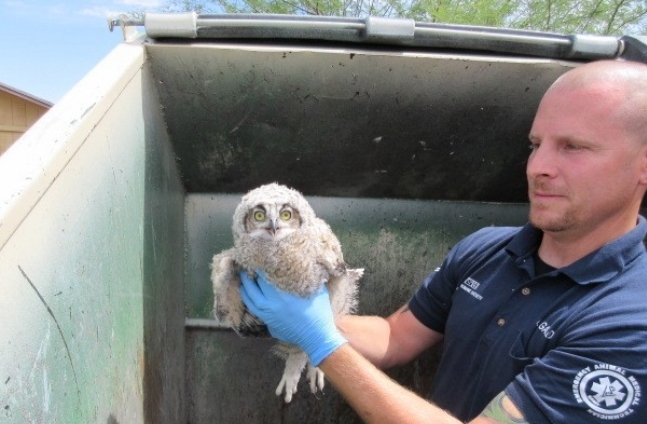 AHS EAMT Andy Gallo responded to the scene and jumped in the dumpster to rescue the owls. He then called our partners, Wild at Heart Raptors, who took them in and are now caring for them. 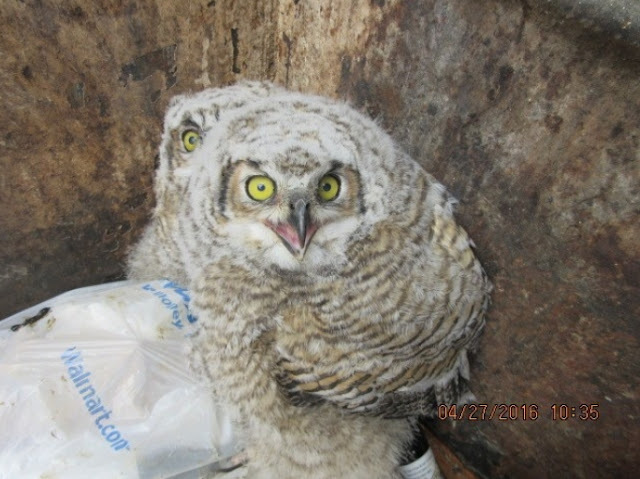 The owls appear to be five weeks old and are in good health. It does appear that someone purposely abandoned them, but sadly, it is unlikely that we will ever know who did that. 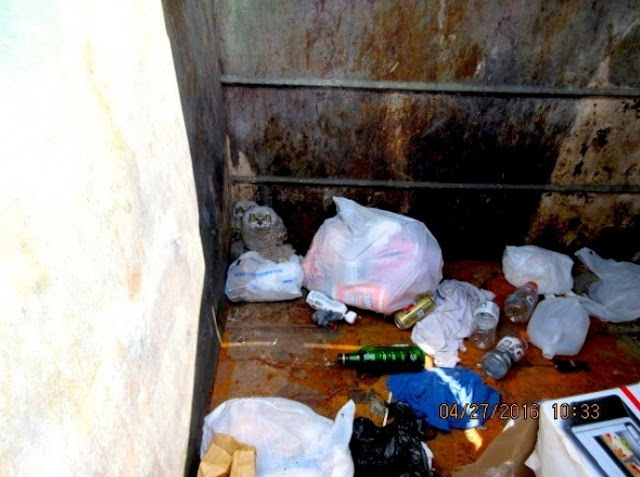 It is important for people to know that if they can no longer care for their animals or if they witness suspected cases of animal cruelty or neglect that they call for help as there are many organizations available to help. 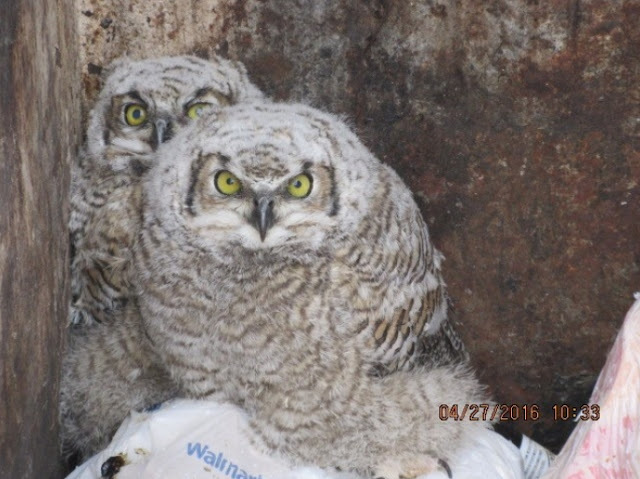 Responses to "Baby Owls Rescued from Dumpster By Kind Arizona Police Officer"
i love how peeved these baby owls look. fie on whoever put them in a dumpster! or did they hatch there?!? Thank you for saving them. Such a disgrace that someone threw them into a dumpster like they are trash. They are living creatures that deserve respect!